Border Patrol Urged To Crack Down On Corruption In Its Own Ranks : The Two-Way The draft report by outside law enforcement experts says the agency needs more internal affairs investigators. It also calls for more transparency in investigations, especially shootings by agents. U.S. agents compare notes as they patrol along the Mexico border near McAllen, Texas. A draft report by outside experts calls for steps to confront any claims of corruption in the Border Patrol. A new government report recommends that the U.S. Border Patrol double its internal affairs investigators to focus on corruption and the alleged mistreatment of migrants along the Mexican border. The interim report, written at the request of Department of Homeland Security Secretary Jeh Johnson, focuses on three themes: rooting out corruption within the agency; reining in the unauthorized use of force by Border Patrol agents; and improving departmental transparency. The report says, given the existence of major drug trafficking and smuggling organizations operating on both sides of the border, "corruption is the Achilles heel of border agencies." It says that current attempts to root out corruption within the Border Patrol are inadequate and that "true levels of corruption ... are not known." Part of the problem is that the agency "does not have adequately staffed internal affairs," according to the report. 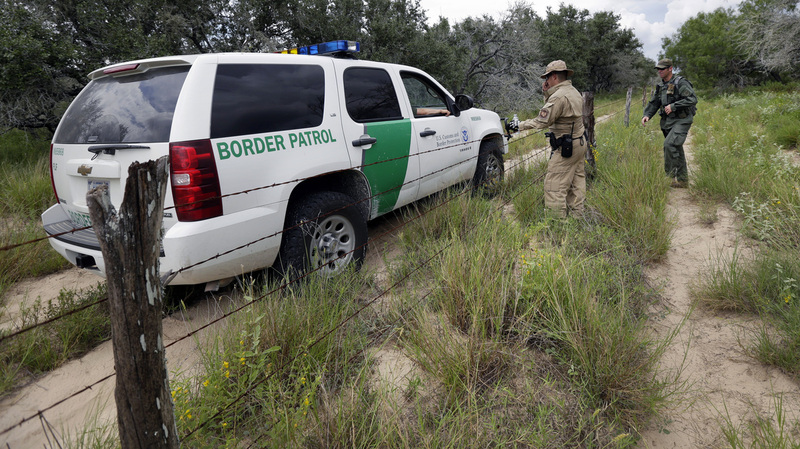 It recommends that the Border Patrol hire a minimum of 550 full-time investigators. The agency currently has 200 internal affairs investigators. The 40-page report acknowledges that the Border Patrol must use "even lethal force" at times, but that the "overarching responsibility of law enforcement ... is to preserve life." The Border Patrol has been criticized recently for hundreds of shootings of migrants by its agents, resulting in 19 deaths since 2010. Last year the Los Angeles Times reported that some Border Patrol agents have stepped in front of cars to justify shooting at drivers they confronted. The paper also documented cases in which agents opened fire across the Mexican border on people who were throwing rocks at them, rather than step out of harm's way. The government report calls for stricter rules for when agents can fire their weapons. Finally, the report reserves its most scathing language for the agency's lack of transparency. It says that until recently the Border Patrol had no coherent policy for informing the public in cases when agents' use of force resulted in death or serious bodily injury and "it was anything other but transparent." After such incidents, the Border Patrol's parent agency, Customs and Border Protection, "did almost nothing to inform the public." The report was written by an independent panel of eight law enforcement and national security experts led by former Drug Enforcement Administration chief Karen Tandy and New York City Police Commissioner William Bratton.